Rigid Bag Filters can be used in a wide variety of air conditioning and general ventilating applications where large volumes of air are to be handled and systems dictate high dust holding capacity, coupled with low initial resistance. Grades M6 to F8 are commonly used for pre filtration to final filters such as HEPAs, or to offer a good level of indoor air quality for supply air in offices or auditoriums. E10 HEPAs offer the lowest HEPA grade filtration in a rigid bag form, and are often used for the removal of fine particulates found in kitchen extract exhaust, or for the supply of air where the highest quality is demanded. The filter contains a high filtration area by using mini pleat filter media using hot melt bead separators. 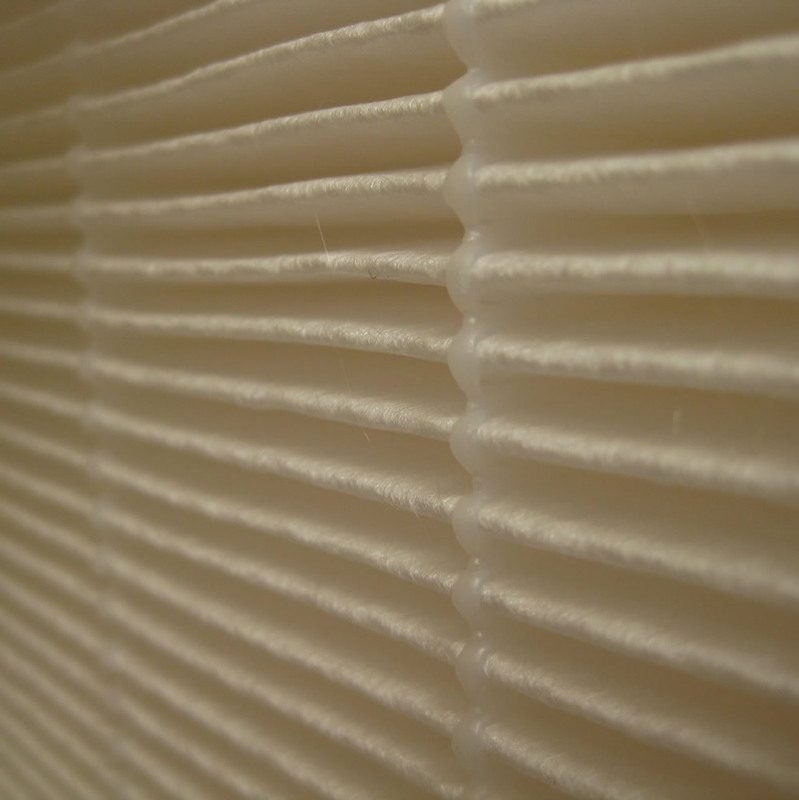 The mini pleat filter slabs are sealed into a plastic frame into a unique V formation. The plastic frame incorporates a header frame that will be either 20 or 25mm in thickness. These filters provide an improved efficiency performance over traditional bag filters. They outperform bag filters in all facets of arrestance, efficiency, capacity, pressure drop and service life. The filters can also be supplied to fit existing bag filter installations with fitted headers to suit.